resourcefulness and creativity are just as important as dollars to succeed. Wichita had been born as a bustling frontier cowtown and blossomed into a blue-collar paradise of aircraft companies to become the largest city in the state. But Kansas was still stubbornly one of only two states – along with South Dakota – that didn’t have its own resident opera company. “We saw it as a challenge,” says the Bulgarian-born Bakardiev, who began his career in 1970 as a singer with the Vienna Opera. He then moved into management five years later, first in Italy, then at other stops in Europe before coming to the US in 1978. And as the 10th anniversary of the company’s incorporation approaches – officially Nov. 15 – to be followed in January by a new season of seven productions plus a first-ever tour to three other Kansas cities, it seems to have worked. In its first 10 years, WGO has produced 40 fully-staged operas headed by international stars like Annalisa Raspagliosi, Marcello Giordani and Veronica Villarroel, as well as Kansas-born-and-trained Samuel Ramey and Joyce DiDonato, who have internationally acclaimed careers. And each year, WGO offers a free, informal, open-air “Opera on the Lake” production at Bradley Fair as community outreach to bring opera to people who never thought they’d like opera. Best of all, says Bakardiev, WGO did it all while operating consistently in the black – even on a modest $1 million annual budget. The new season opens in January with back-to- back Italian blockbusters, “Madama Butterfly” and “Lucia di Lammermoor,” followed by delicious operetta confection “The Merry Widow” in February and the comic romp “Daughter of the Regiment” in April. The Crown of Russian Ballet will perform the world’s most enduring love story, “Romeo & Juliet” in March. Then on March 26th comes the 10th anniversary gala concert that showcases — under the appropriate theme of “There’s No Place Like Home” — Kansas-born-and- trained Samuel Ramey, Joyce DiDonato and Alan Held, who have gone on to internationally acclaimed careers. Rounding out the season is “Opera on the Lake” in May. Season tickets come in three packages – 6, 5 or 4 mainstage productions – and in three price ranges in each package. Prices for all six shows are $408 (best), $279 (better) and $168 (good) for a savings of 20 percent over buying single tickets. Prices for any five are $353 (best), $241 (better) and $145 (good) for a savings of 17 percent. Prices for any four are $292 (best), $200 (better) and $120 (good) for a savings of 14 percent. Tickets are available through the WGO box office at 316-262-8054; online at www.selectaseat.com; or at any participating Dillons Outlet. Here’s a closer look at the schedule. Performances are at 7 p.m. (unless noted) and in either Century II Concert Hall (CH) or Mary Jane Teall Theater (MJT). “Madama Butterfly” by Giacomo Puccini (Jan. 8, CH). 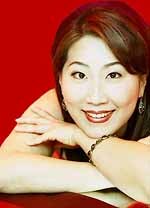 Korean lyric soprano Yunah Lee, who has been acclaimed for her “handsomely-colored, full lyric sound” and her “picture perfect acting” in what has become her signature role, stars as the tragic Japanese courtesan, Cio-Cio-San, who falls in love with an America sailor. Rising Russian tenor Alexey Sayapin, first place winner in the Luciano Pavarotti International Tenor Competition in Moscow, stars opposite her as her faithless husband, Lt. Pinkerton. Puccini’s 1904 masterpiece is at the top of the 20 most-performed operas and its arias, notably “Un Bel Di,” are known even to non-opera fans. “Lucia di Lammermoor” by Gaetano Donizetti (Jan. 14 & 16, MJT). Considered one of the best showcases for coloratura sopranos, Donizetti’s tragedy about clan feuds, betrayal, murder and madness stars Russian diva Olga Orlovskaya, an international award winner and great-granddaughter of one of the most famous Russian opera singers of the 20th century, Fedor Shalyapin. The 1835 opera, ranked No. 13 on the most-performed list after being made famous by Maria Callas and Joan Sutherland, is known for perhaps opera’s most famous mad scene. This is a co-production with Baltimore Opera Theatre. “The Merry Widow” by Franz Lehar (Feb. 12 & 13, CH). Kallen Esperian, known as a premiere Verdi soprano since winning the Luciano Pavarotti Voice Competition in her 20s and performing opposite all three of The Three Tenors, stars in this witty, light-hearted 1905 caper about a young diplomat who must bailout his bankrupt country by marrying a wealthy heiress. Esperian previously won Wichita’s hearts in “La Boheme” opposite Marcello Giordani and in “Faust” opposite Samuel Ramey. “Romeo & Juliet” by Sergei Prokofiev (March 13, MJT). Premiered in 1938 but now known for its 1940 revised version, the ballet based on Shakespeare’s famous star-crossed lovers features lush, evocative music by the 20th century composer that was once considered so innovative as to be undanceable. But it has endured to become one of the most popular ballets. The Crown of Russian Ballet was founded in 1997 specifically to update choreography for contemporary demands. “10th Anniversary Gala: There’s No Place Like Home” (6 p.m. March 26, CH). Headlining this once-in-a-lifetime celebration are the “Kansas Big Three of the Metropolitan Opera.” After three decades, legendary bass Samuel Ramey, a native of Colby, has become the most-recorded bass in history and won three Grammy Awards, among many others. He has an unequaled record for portraying malevolent figures, from the “Four Villains” to “Mefistofele.” Prairie Village native Joyce DiDonato is one of the reigning Met divas praised for her “combination of supreme musicality” and “fearless interpretive resources.” She was honored with the Metropolitan Opera’s Beverly Sills Award, and has become acclaimed for her interpretations of Handel, Mozart and Rossini. Wagnerian bass-baritone Alan Held is recognized as one of today’s leading singer/actors. He has made numerous appearances with the Met as well as all around the world. 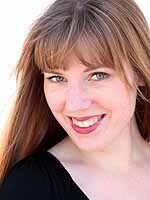 “Daughter of the Regiment” by Gaetano Donizetti (April 29 & May 1, MJT). Donizetti’s 1840 comic romp about a spunky tomboy trying to fit in with the French aristocracy stars Lindsay Ohse in the title role following her triumphant debut with the Santa Fe and Sarasota Operas as the Queen of the Night in “The Magic Flute.” Opposite her is Slovak-Hungarian tenor Otokar Klein, who wowed Wichita last season in “The Elixir of Love.” This opera is known for its “Ah, mes amis, quel jour de fete” aria, considered the “Mount Everest for tenors” with nine high Cs. 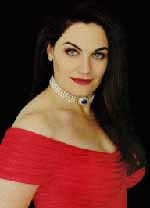 “Opera on the Lake: Operatic Spectacular” (6:30 p.m. May 21, Bradley Fair). WGO resident artistic forces will gather under the stars for music made famous by the Three Tenors, Andrea Bocelli and Il Divo. WGO Kansas Tour – May 5 in Salina’s Stiefel Theatre: full production of “Daughter of the Regiment” with guest stars Lindsay Ohse and Otokar Klein. May 6 in Hutchinson’s Fox Theatre and May 27 at the McPherson Opera House: highlights from “Daughter of the Regiment” combined with an operatic pops program. News from our 2010-2011 Season Partner Theatres! The Stiefel Theatre brings to Salina legendary musician and “poet of the common man” Merle Haggard on Thursday, November 11th at 7:30pm. Tickets for this amazing performance are $75, $65 or $49. For more information, contact the Stiefel Theatre box office. In his only Kansas appearance, The McPherson Opera House brings Bill Frisell’s Beautiful Dreamers to McPherson November 4th at 7:30pm. His unique improvisational take on the standard will be an evening to remember. Tickets are $32, $27 or $22 for adults and $10 for students. For more information, contact the McPherson Opera House offices.